When I first started thinking about developing as a young artist I only really drew. Paint, colour, overwhelmed me so I gravitated to the lines and forms of pencil and ink drawings. Through thinking about design, I learned the need to introduce order into things. I fell in love with patterns, and linear rhythm. I decided pretty early on that making art was probably the way I would end up making a living, so I took to learning it as a craft young. Eventually I grew to enjoy, but respect colour. And took to a generally structured discipline of play. My mother, an artist working by then in animation, was a sometimes instructor. I think she may have had something to do with introducing me to the notion that while drawing, to try letting the line tell me what it wants to do. Feel it out more than think about it. And to welcome happy accidents, see how they can even at times improve the work. That led to a spontaneous approach to drawing. 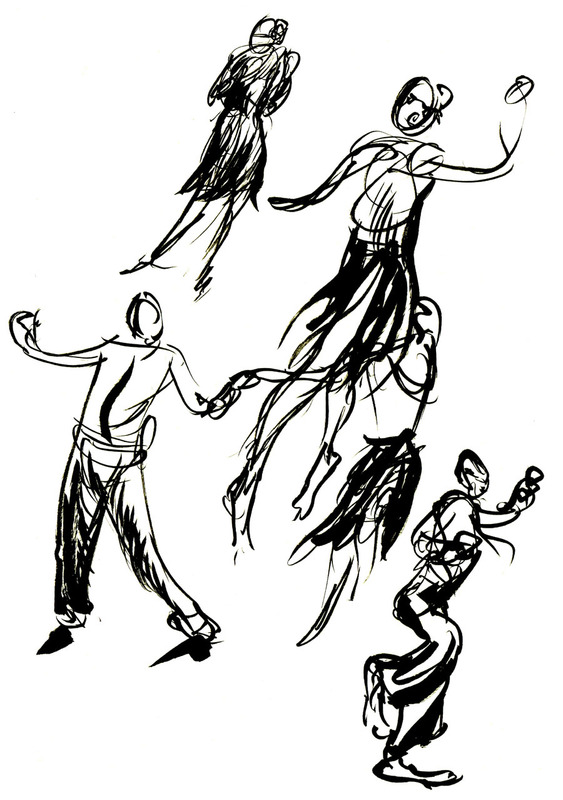 But equally a similar early introduction to Tai Chi gave me an appreciation for control and an artful balance between both the energy of intuitive drawing and the control gained by acquiring refined and learned craft. It also taught me how to walk silently and feel movement. For drawing it’s part motor control and muscle memory.–The familiar use of our tools and bodies in the process of drawing.–part methodology and technique. And of course the mysteries of inspiration just a bit. That the what to draw. But how, how is all Structure. Structure is an idea all artists need to think about. Sometimes we call it Process. Sometimes Hierarchy. Sometimes when you’ve gotten into a rut, it’s important to think about how your current Structure/Process/Hierarchy might be trapping you? For many beginers the problem is where to start. Structure provides the answers to that. Drawing on the Right Side of the Brain by Betty Edwards is a famous text that helps artists find their own path to structure. The Natural Way To Draw by Kimon Nicolaides another. Both can be found in our school library. 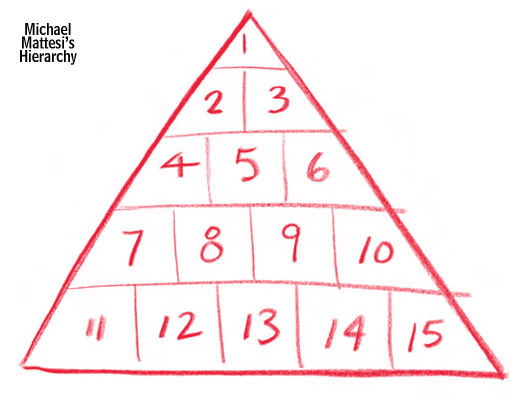 To improve and have a sense of direction, we all have to learn how to use hierarchy in the ordering, and building of a drawing. Structure is what makes otherwise random marks on a screen have meaning when you read them like this. An S is an S is an S. That’s a very rigid structure. Drawing is mark making of a similar kind, but with much broader grammar and form. A big part of Dynamic Drawing is about applying Hierarchy to our drawing process in order to develop better form and structure. Simply put imposing an order to when we do things. Including first to observe or visualize the subject. The goal is not drawing in a lifelike manner necessary though I believe it will help if that is your personal aim. But I think I can show you how to find a more naturalistic and expressive line in whatever style you choose. The methods if you apply them, will work with you to improve your work. Another Idea I want to impress on the class is the need and use of Iterations and Repetition. No one is ever good at something they do once. Re-exploring an idea, be it a simple repetitive pattern practice, or a portrait. Doing something several times always has advantages. There is always room to learn if you wish to have true and reliable facility. Yes that’s a long-winded way of saying, practice, makes for improvement. And one of the often overlooked details I’ve always thought, in talking about process, is the difference between Study. And Doing. While executing an exercise, or practicing, we are studying. We are not doing. When we Do, we want to just ride the wave. Doing is when you just sit down to draw. Apply all the things we’ve learned in a mostly intuitive manner. As much as possible we just draw. Studying is breaking the process of drawing down to basic tasks. Tool use; Pattern work; Line control. Learning how to make a consistent ellipse, lines, controlled lines and confident brush strokes. The shape of a head, a hand, a house. How to build the forms of an animal or person up from scratch or observation. How to think about depth and perspective and point of view. It takes some self-discipline and time. But it can be a fun process of discovery as well. It was for me. I encourage you to think of it as a systematic process of structured experimentation. You are a scientist seeking to understand your world. When studying most importantly the goal is not an individual drawing. But the application and improvement of technique. In some cases such as the skating rink, the resulting drawing will be an abstract scribble. The only evidence you have succeeded a certain organic grace to the lines. But it’s not about the marks made, it’s about the method of making them. That is where we want our attention to fall. For your first exercise I want to you observe still lifes. In our class i’ll prepare some. When practicing on your own, found or built, take a photo with your camera or phone to show me and make a point of doing as many as you can. One a day. Pick out something, a group of somethings ideally. Observe, study. Try to feel the subject with your eyes, seeking out all the shapes in the countries and edges. The depth and form of its shapes. If it’s something you can touch or pick up do so, become familiar with the shapes of the object. Try to make a model of it in your mind. See it when you close your eyes. Now look at your paper. Think about how you will frame it on your page. where does the top fall? the edges? Close your eyes again and see it on the page. Notice in the last two paragraphs, i never said to start drawing? Do all this before attempting to do so. This is CRITICAL to this exercise. Do not skip it. 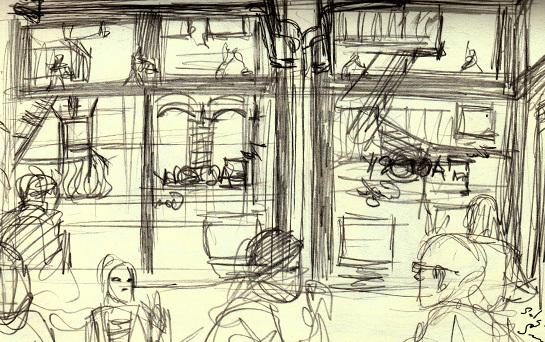 Now, start to sketch, look at the page and see the forms there in the empty space. Think about touching them with your pencil. Some artists like to mark out the boundaries of a subject, it’s a good trick to give a try. Use dots or other small marks to plot out some of the key points. Here’s a good tutorial on how to do that by Marc Taro Holmes. I like to start by making smooth rhythmic rotational motions with my hand and kind of dive into the page. I seek out boundaries and forms too but I like to introduce a bit of speed and random energy to the process. But both ways are building structure into the process of drawing structures. For the still life drawings you can also assemble them out of geometric forms. Instinctively most of us first attempt to draw it’s contours. Our vision is actually designed to pick out edges well so it’s often the first thing we see. I often look for shadow and light. Carving into shadow with my pencil and pulling out light with the eraser and white. And think a lot about form texture and mass. I’m not going to tell you what to draw this first week, i’m interested to see your choices. But I’ll want you to do at least 6 for me, applying this and the other notes from class to the how your execute the drawings. 24/06/2014 | Filed under Class Blogg, Class Resources and tagged with composition, Hierarchy, Process, study, The art of seeing, tutorials.